The New Year brings with it the promise of a new beginning and also the hardships of tracking self-improvement. As per the research from the University of Scranton, the nostalgic holidays and an entire year of regrets, around 50% of the Americans decided to make resolutions for the New Year. 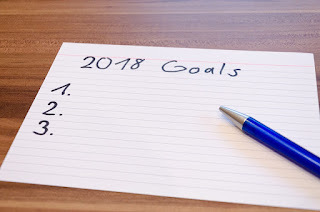 The New Year is undoubtedly a great time to change your life for the better and the best place to start is by making few solid financial resolutions which can get you closer to your monetary goals. Whether it’s boosting your retirement savings or keeping aside enough money for being able to make the required down payment on your house, you’ll always need to take care of your finances so that you can set your financial house in order in 2018. What are the steps that you should take? Read on to know more. Now is the age of monetary disruptions because things are changing and moving at a rapid pace which is gradually becoming unbelievable. Hence, it is important to be mentally and financially for such risks. Despite being aware of different kinds of risks, we tend to ignore them. If you haven’t still done that, start off this New Year and reduce all risks, if not eliminate them. Do away with not having any retirement plan, not being adequately insured and not considered about being overweight. Now that you’re resolving for the New Year 2018, have a concise financial goal. You just can’t do with saying that you wish to pay down your credit card and have enough money in the bank. In fact, your goal has to be actionable and clear. You have to take instant action so that you could show yourself that your credit card is paid down and that you have an IRA that’s fully funded! Remember that all debts are not created in an equal manner. You have to enlist your obligations and categorize them by their annual interest rates that you pay on them. If you’re already paying 19% or more than that in the form of interest rates every year, there’s no use in investing money. In most instances, the best course of action would be to sell off your savings bonds, certificates of deposits and cash holdings as well. If you still didn’t open one, make sure you open an IRA and begin contributing money towards it. In case you have an accountant or a financial planner, he should inform you about whether a Roth IRA or a traditional IRA would be appropriate for you. Both offer tax benefits which can add to offer you a significant amount by the time you retire. Financial institutions and banks usually charge fees for almost everything. Is it necessary to have multiple checking and credit accounts? Though there are exceptions, the answer is always a big ‘No’. So, you should close down all the unnecessary accounts. Majority of the people can always have one thing about which they’re truly passionate. One of the best ways in which you can enjoy your work is by doing those things which you love to do. When it comes to making a passive income source, this is perhaps the best time to transform your passion and hobbies and capitalize it. You can therefore try them out to earn a passive source of income. Therefore, now that you know about the best financial resolutions that you should try your best to keep in 2018, what are you waiting for? Get up and take immediate action regarding your personal financial state so that you don’t have to spend a financially chaotic 2018. If you fall short of the qualification criteria of other types of secured or unsecured loans, you can opt for title loans this New Year from https://www.tfctitleloans.com/.